Gigit grew up in Forney, Texas before she moved to Austin, Texas where she received her Bachelor of Arts degree in Government from the University of Texas. Gigit then moved to Oklahoma City to follow her dream of becoming an attorney. She attended Oklahoma City University School of Law where she met her husband, Christopher, and her business partner, Carly Maderer. Gigit graduated first in her class and was a member of Law Review. Gigit and her husband stayed in Oklahoma where she worked at Forbes and Forbes and took over their Social Security Disability and Bankruptcy practices. In 2015, Gigit and Christopher decided it was time to return home to Texas to raise their children. Gigit understands that for many of her clients, she is seeing them on one of their worst days. She tries to ease their struggle by taking as much off their plate as possible. She treats her clients like family. She is dedicated to returning calls and emails as soon as possible. 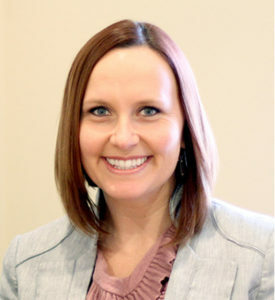 Carly grew up in Cypress, Texas before moving to Oklahoma to attend Oklahoma State University where she received a Bachelor of Science degree in Business Management. After graduating in the top 10% from Oklahoma State University, Carly received her Juris Doctor (J.D.) and Masters of Business Administration (M.B.A.) from Oklahoma City University. It was also at Oklahoma City University School of Law where she met her business partner, Gigit. Prior to opening up her own practice, Carly worked at Gordon & Rees (Houston office) and Ewing & Jones, PLLC. Carly’s experience includes working on mergers and acquisitions, drafting general contracts, assisting with complex corporate organizations, representing clients involved in start-up ventures and franchise opportunities, and assisting companies and individuals with various employment matters. 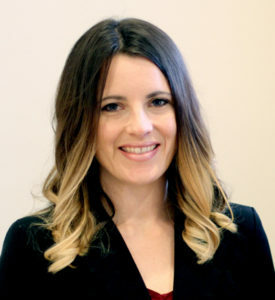 Carly utilizes her business background to not only advise clients from a legal perspective but with a unique understanding of their overall corporate needs. The happiest day of her life was when Carly married her spouse, Jason. Jason and Carly grew up in the same neighborhood, reconnected several years later in Oklahoma City, and have made it full circle back to Cypress, Texas where they are raising their children. She is admitted to practice in the State of Texas and is a member of the Houston Northwest Bar Association and American Business Women’s Association.